I was heading back to Florence from Cinque Terre when my train stopped in Pisa for a short layover. There was just enough time to make the 30-minute walk to see the Leaning Tower, so I ventured out. 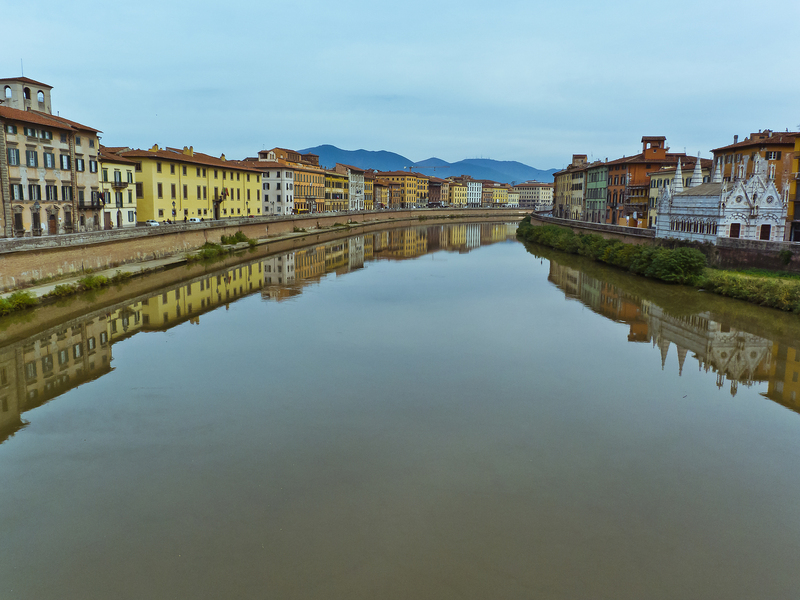 On the way, I stopped on a bridge crossing the Arno River to snap this photo.